Hey everybody, it's Truffles! I'm going to be completely honest and tell you straight up that we're not all that crazy with what we came up with for week 11 of the #PBSG #52Snapshots of Life photo challenge (hosted by The Lazy Pit Bull). The theme is travel, something that we just do not do. Mommy is a total homebody, and I'm a cat, so how on earth can we interpret travel??? 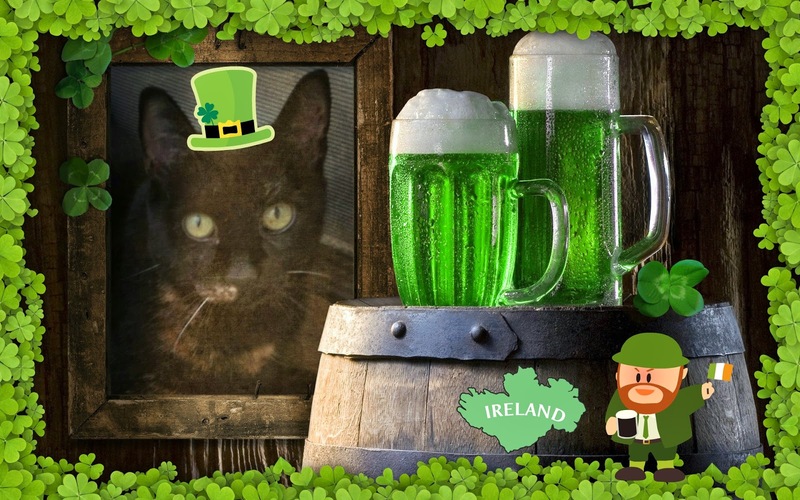 We decided to submit the St. Paddy's Day artwork we created for Athena's Caturday Art blog hop using Pho.to and Ribbet. I'm "virtually" travelling to Ireland! 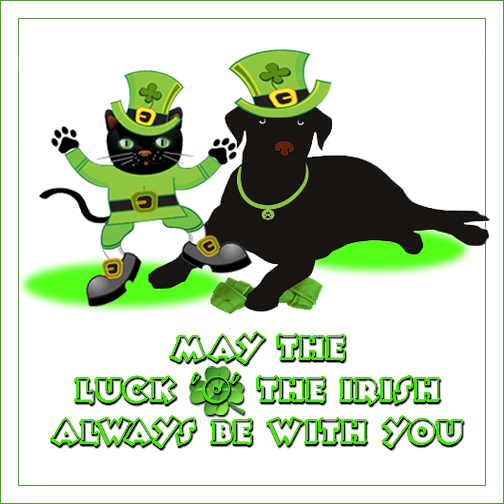 Special thanks to Ann at Zoolatry for the adorable St. Patrick's Day graphic! It's so refreshing to hear that your Mommy is a homebody, too. Ours is, and you just don't hear it that often. Beautiful! We are not Irish (as far as we know) but Mum loves Ireland and is particularly fond of Celtic music and jewellery. She believes she had a past life there (with me I hope). Love it! Happy St. Patrick's day, Melissa & Truffles! Truffles you look very happy in your travel photo to Ireland. Hard to believe it'll be St Patricks day next week. Oh! Ireland!!! Wes would loves to sees it! But wes shall enjoy it in that glorious St Patricks Picture of yous!!! What a cute picture. Purrfect for St Paddy's day. Gweat foto gawjus. Hav a pawsum weekend. I think this was the purrfect way to depict travel! My mom is a homebody too. Her idea of a vacation is a long trail ride on her horse. That came out great! Congrats to the Pet Box winner! 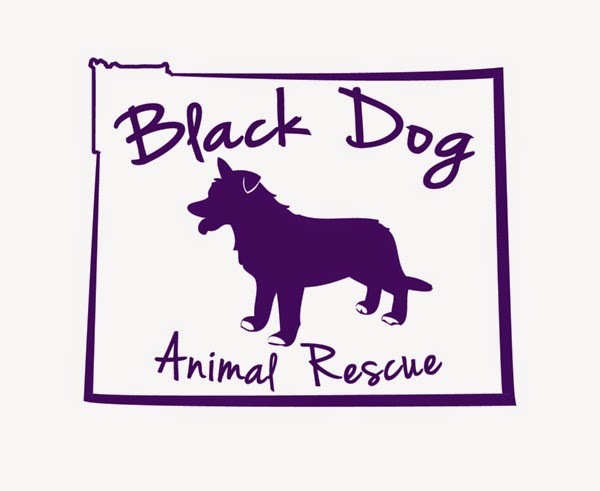 A DOG rescue? Oh well. I guess they have to eat to. We have to get you a transport tunnel, Truffles. Don't drink too much mousebeer ! An imaginary trip to Ireland is a fantastic idea! I like your interpretation of travel! :) Thanks for joining us and linking up again this week!